A2Z MARKETING - Your best choice for quality, affordable, and creative advertising! 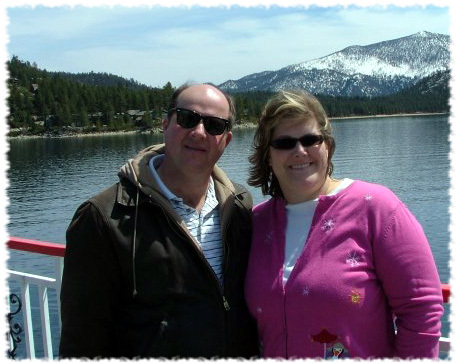 A2Z Marketing began as a dream in the minds of John and Laura Zielke (the 2 Z's) soon after they were married in 1996. Now located in North Carolina, A2Z Marketing has established itself as a reliable, creative, easy-to-work-with, woman-owned marketing firm. At A2Z Marketing, we provide creatively integrated marketing services to our customers, utilizing both traditional (print) and modern (digital/mobile) media. Our clients have been extremely satisfied with the quality of our work, the effectiveness of the advertising materials produced, and our affordable pricing structure. Youll be pleased with the excellent service and top-quality products you receive from A2Z Marketing. We are committed to providing you with innovative designs, exciting ideas, and superior customer service. So, whether you need to update an old brochure or create a new logo for your company, A2Z Marketing will help you get the job done quickly and efficientlywithout sacrificing the quality, service, or timeliness you expect. Contact A2Z Marketing today for help targeting your audience and getting the biggest bang for your advertising buck! © 1997-2019 A2Z Marketing  All Rights Reserved. Please send any comments or questions about this site to our webmaster.